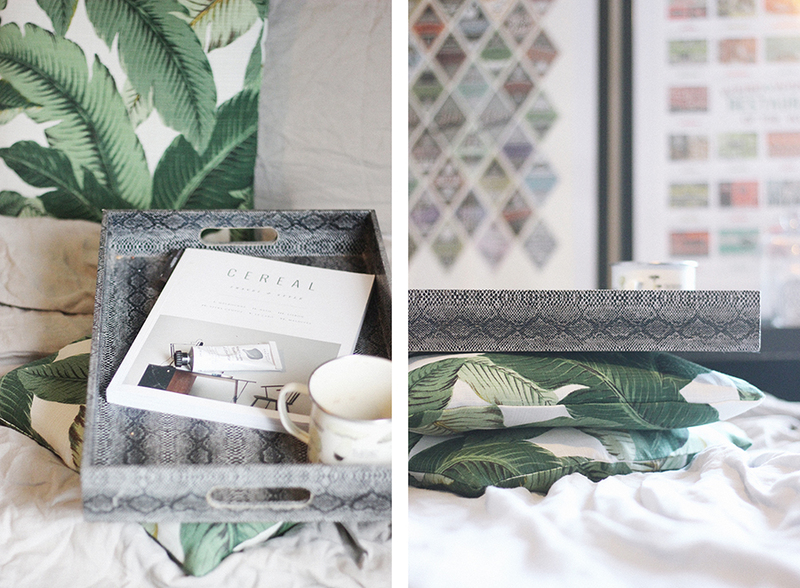 Inspired by minimalist Scandinavian decor, I decluttered my bedside console and kept the colour palette sparse; mostly monochrome with a few pops of colour in the form of greenery (both living and in the form of this season's trending banana leaf print), antlers, and prints from Great Little Place. My antler-shaped candle holder (a brilliant TKMaxx find) compliments the real antlers on the wall. The antlers, together with my mushroom-print enamel mug and cacti in a bell jar add to the subtle 'natural history' element of my nook. I've switched out my heavy duvet and fur throws of my winter nest for breathable linen. My taupe bedding is a bit more interesting and less high-maintance than plain white sheets, also the more slept-in they look the better - linen is just made to be crumpled! Throw some divine scents (Diptyque, Yankee Candle, and Byredo are firm favourites), a cold drink in my mug, and my favourite new lifestyle read Cereal Magazine onto a tray; et voila: the perfect 'book mobile'. 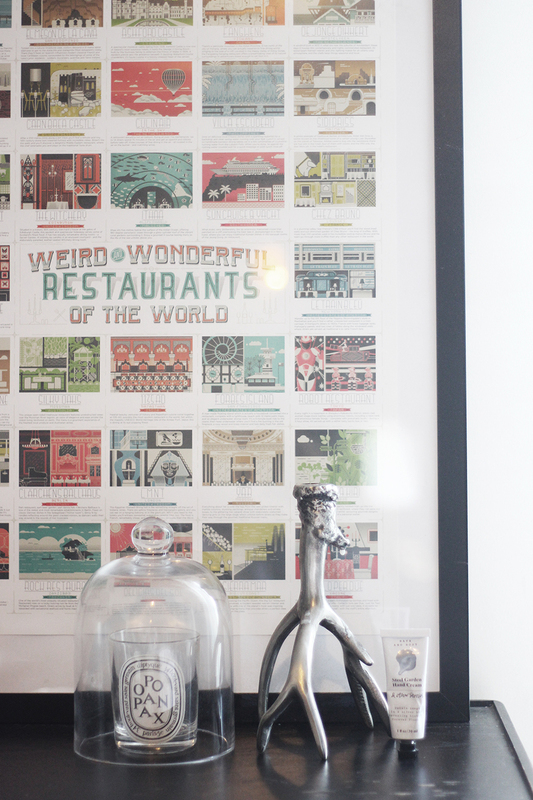 This is so cute...I took a look, I haven't been to any of the restaurants either!